"To preserve, protect and promote the history of Switzerland County, Indiana." The Switzerland County Historical Society, organized in 1925, is one of the oldest of Indiana’s county historical societies. 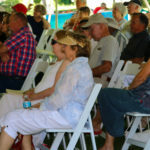 The society has collected with a vision for the future by preserving a wide range of artifacts and documents that relay the county’s unique past. The historical society owns and operates two museums and is developing a third site. 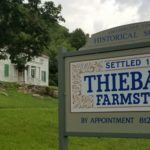 Within this site, you will find links to the County Historical Museum, including genealogy research information, the River History Museum, as well as the Thiebaud Farmstead. Information on upcoming events and programs, ongoing projects, membership, and gift shop items are also included among the pages here. Links to these pages, and "Recent Posts" can always be found at the left of any page if on a computer, or the bars ≡ at the top of the page if on a mobile device. The Board of Directors consists of Sundra Whitham, President; Helen Parks, Vice President; Anita Danner, Treasurer; and Geri Emmelman, Secretary. Trustees are Debbie Allen, Joyce Benbow, and Dan Bixler. Martha Bladen is the Executive Director. The museums are open daily from noon until 4:00, except for Thanksgiving, Christmas, and New Year's days. Special accommodations can possibly be made by contacting the museum. 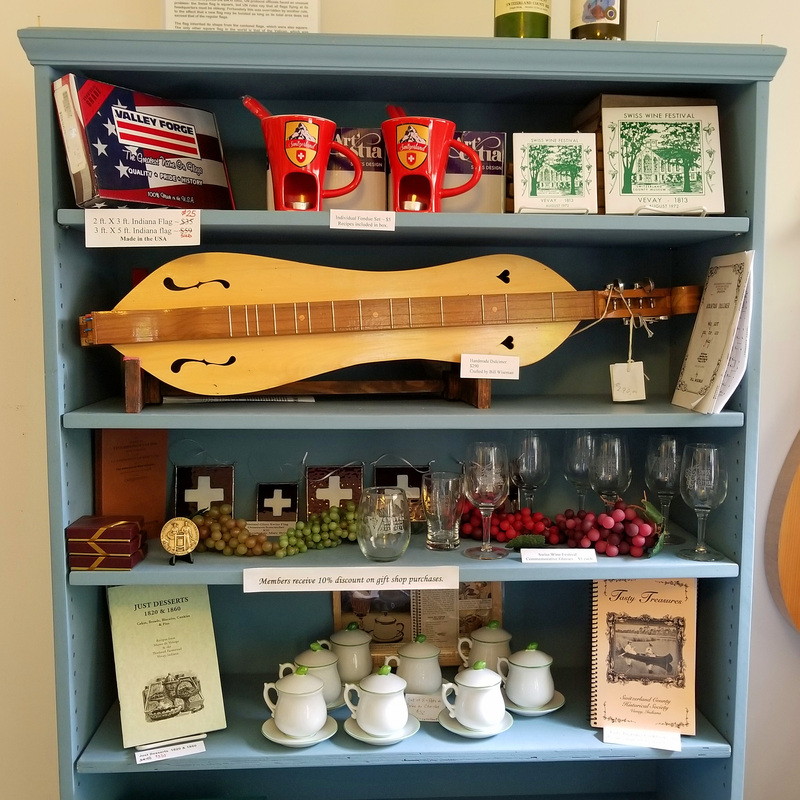 Barn Dance, Big Doins', Rural Heritage Tour, All Hallows Eve, Country Christmas - and hands on classes and workshops are some of the special events presented by the Switzerland County Historical Society. The 1850s Greek Revival home of Justi and Mary Banta Thiebaud has been beautifully restored thanks to a capital campaign stimulated by a Jeffris Family Foundation challenge grant that was met by generous contributions from local foundations, organizations and individuals. The Mormon Haypress has also been restored and operates during the Rural Heritage Tour. This museum reveals many aspects of the county’s past through such displays as Early Swiss Heritage, Veterans Remembered, Childhood Memories, Native Americans, Professions, and Domestic Arts. These displays are housed in an 1860 Greek Revival Presbyterian Church. We also hold many records that will help you in your genealogy searches. Visit the selections that we have to offer in our gift shop.